Williams completed his Bachelor of Science majoring in Geology and Statistics at the University of Cape Town. For him photography was a pass time activity which had developed since his he was a teenager, but after developing intense interest he took it seriously. His first job was working as a property photographer for the Cape Times during which he also began to take freelance assignments for local magazine publications and advertising agencies. Willimas began working for Reuters in 1989 covering the transition from apartheid to ANC rule as a photographer. 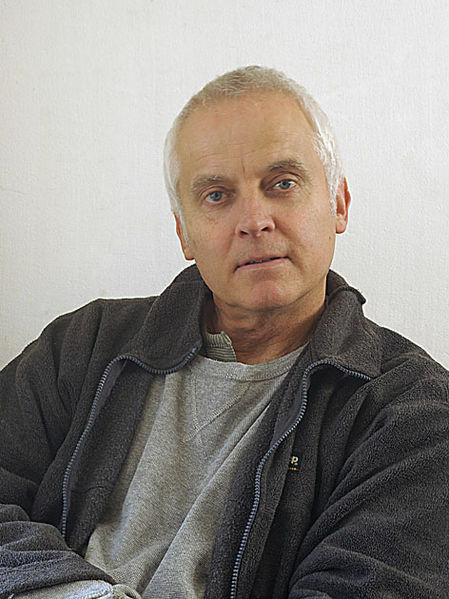 In 1991 he started contributing to the South African documentary collective, Afrapix. Williams later went on to become a founder member and manager of the South Photographs Agency. William's work has made a significant transition from the intensity and violence of the eighties in South Africa, and working for Reuters at that time, to personal focus and projects. Williams explores his world through the lens with elegance, intimacy and at times dislocation. Often evident in his work is a unique enjoyment of unusual South African parodies. Williams is a regular contributor to The New York Times, The Telegraph and Leadership Magazine. He combines this with corporate work for local and international clients. Williams' long-term projects include his study on Aids Hospices, he is currently working on a project on Aids orphans. He eloquently captured the bittersweet drama of the last days of the Johannesburg Stock Exchange in his book "The Floor". Williams has completed his second book, "The Inner City", which explores alienation and it's consequent social malaises and unusual beauties in Johannesburg. Williams has staged 12 solo exhibitions and contributed to 30 combined exhibitions. He currently works as a freelance photographer and picture editor taking regular commissions from local and international clients. "The Floor", with David Gleason, Purple Box, Johannesburg, 1996. "The Inner City", Ravan Press, Johannesburg, 2000. "Ivan Toms Conciencious Objector", Anti Conscription Campaign Exhibition, Cape Town, South Africa, 1988. "Sacred Heart House-Aids Hospice", The Market Theatre, Johannesburg, South Africa, 1990. "Joberg City Who's City?" IDASA Exhibition, Johannesburg Art Gallery, Johannesburg, South Africa, 1991. "Beyond the Handshake", Oxfam and Anti-Apartheid Movement, Brussels, Belgium, 1992. "A Shifting Landscape", Rotterdam Museum of Ethnology, Rotterdam, Holland, 1997. "Images Imaging Imagination", 100 X C Photography in South Africa, The Scan Shop, Cape Town, South Africa, 1999. "The Mask", 100 X C Photography in South Africa, Michaelis Gallery, Cape Town, South Africa, 1999. "X-Scape", Shuttle '99, Helsinki, Finland, 1999, as well as The Granary, Cape Town, South Africa, 1999.